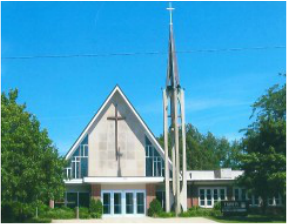 Learn more about the churches of Webster City . For as long as people have settled in Hamilton County, they carried their faith with them. Churches have played an integral role in the development of the city, providing community services and spaces as well as spiritual care. 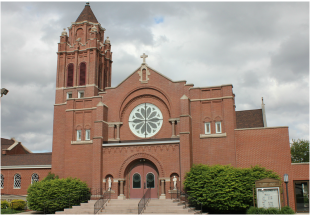 Learn more about some of Webster City's churches below. The Mulbery Center Church, located now in the Wilson Brewer Park, was established by United Bretheren members outside of Webster City in 1887-9. It continues to be upkept and has a fascinating history. See a full historical report here, and the city's extensive website full of photos and videos here. 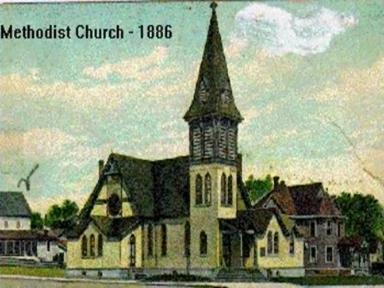 First organized in 1857, the Methodists erected the first church building in Webster City (1866). See the full history at Asbury's website, here. Catholic mass was first celebrated in Hamilton County in 1869. A church building was erected outside of Webster City in 1871, and the present building on Des Moines street was built at the turn of the century (1901). See a full history here. Organized in 1896, the first church was built in 1899. This, one of two Lutheran churches in Webster City, has a unique story and an amazing pipe organ. Read their story on Trinity's website, here.